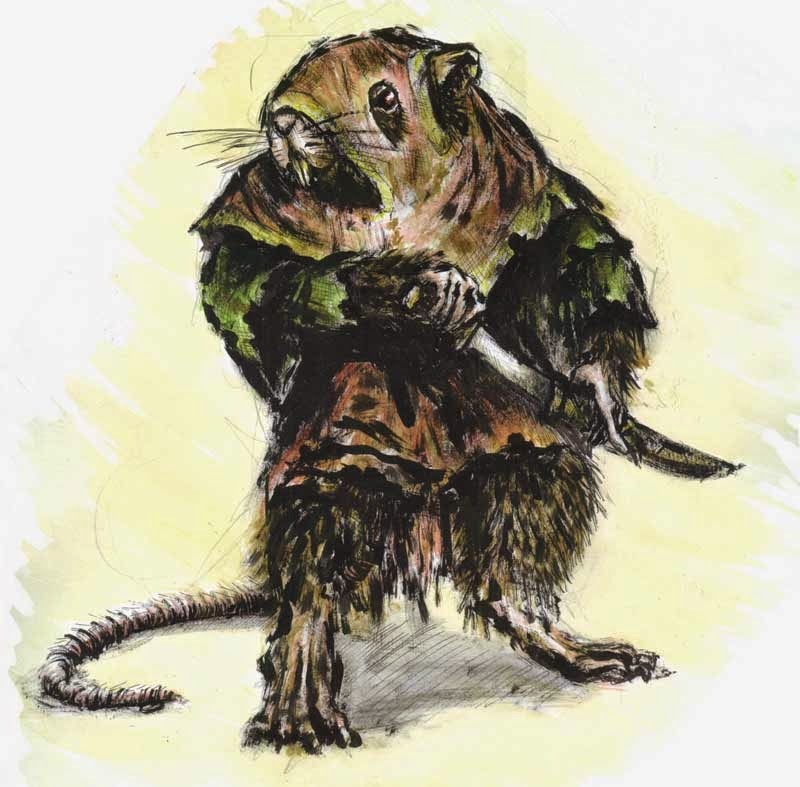 Ratlings are small (about halfling size) sentient rat men who are invasive and can be found in almost any environment. They often live on the outskirts of some other community; in the sewers under the human cities, in the forests of the elves, and in the dwarven tunnels deep in the bedrock. Ratlings are scavengers and opportunists. They live off of the scraps left behind by others, but can fend for themselves if they must. 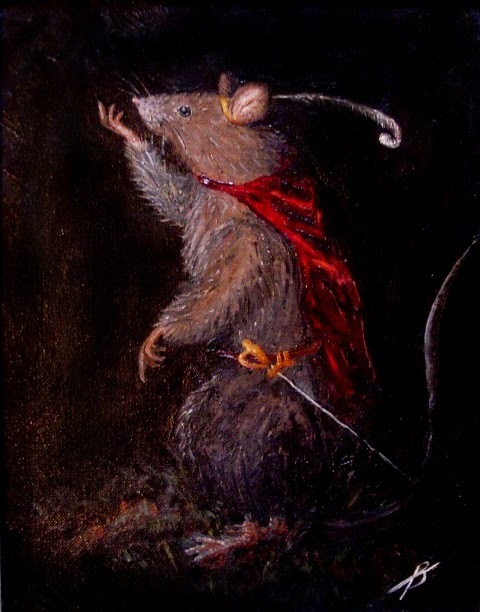 Pragmatic and adaptable, most ratlings prefer to let others handle any direct combat though they do enjoy looting and nibbling the remains of the fallen. They are not picky about alliances and will join up with whomever seems best able to protect and feed them. They are not well regarded by other races, but when tolerated they can prove useful as scouts and spies. Perhaps the mutants are their closest allies. In the sewers under the cities, ratlings and mutants can be found living together as equals. Ratlings can be solitary or live in small family groups, but most prefer to live in large packs for protection. A large pack of ratlings is called a "mischief". The politics within each mischief will vary, but most are led by a single ratling who is either respected or feared by the others. 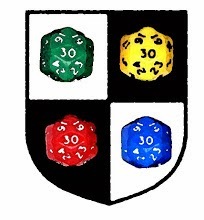 Ratlings rarely go to war, but there is an ancient tradition that ratlings follow when multiple mischiefs must work together and combine their forces. The leaders of each mischief must choose to give up their individual identity and become equal co-leaders of the new ratling horde. 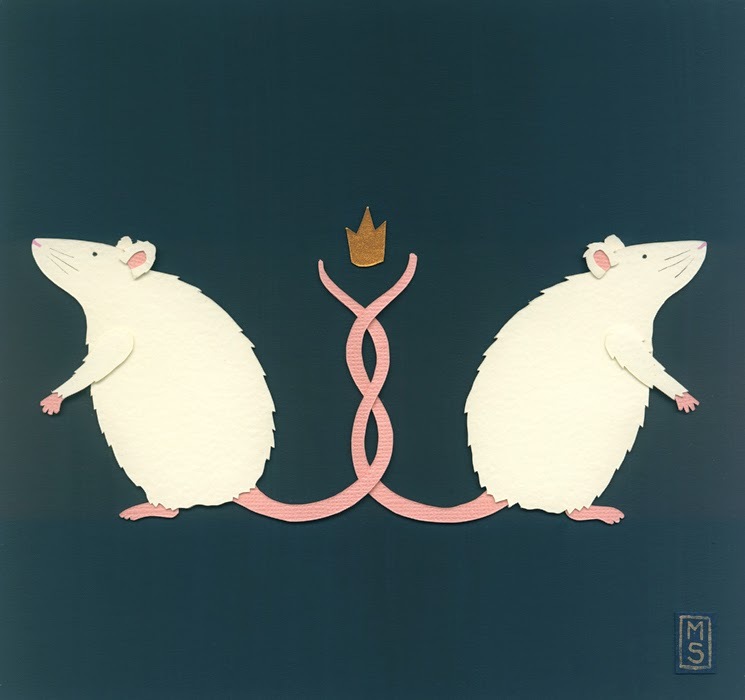 They do this by ritually having their tails all broken and then knotted together permanently; they all give up their old names and become "Rat King".